American Indians, trappers, explorers, government surveyors, railroad builders and ranchers named hundreds of places in Utah. But members of The Church of Jesus Christ of Latter-day Saints named more. Latter-day Saints honored places from the Bible. They celebrated ancient prophets and cities from their signature scripture, the Book of Mormon. And they especially recognized their own leaders. 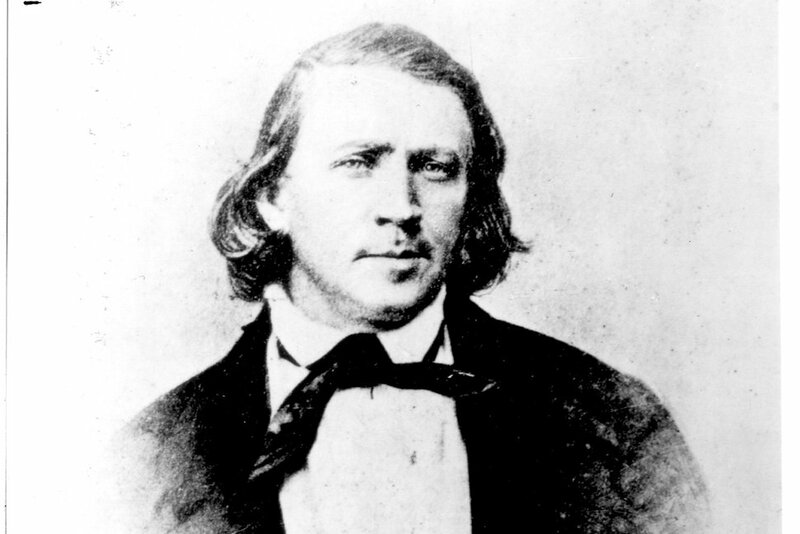 It is sometimes easy today to see whom they were honoring — such as with Brigham City, named after pioneer-prophet Brigham Young. But other times it is more obscure, as with cities such as Draper, Taylorsville, Layton or Kaysville. The names of at least 50 Utah cities and towns are tied to such Mormon references, including some fascinating back stories. See how many you can figure out before reading the source. Most of the information comes from Van Cott’s book. Ballard, Uintah County • Named after former Latter-day Saint apostle Melvin J. Ballard. It originally was named Wilson, after U.S. President Woodrow Wilson. Bountiful • Named after a Book of Mormon area named Bountiful. It was the second city settled in Utah by Latter-day Saints. Brigham City • Honors Brigham Young. For two years before adopting that name, the Box Elder County city was called Youngsville. Cannonville, Garfield County • Named for former apostle George Q. Cannon. Residents sometimes jokingly called it Gunshot, saying it’s too small for a cannon. Clawson, Emery County • Named after former apostle Rudger Clawson after he visited to organize a ward, or congregation, there. Draper • Celebrates William Draper, the southern Salt Lake County city’s first Latter-day Saint bishop. Enoch, Iron County • Named for a biblical prophet whose city became so righteous that it was lifted to heaven. It could give people an excuse for failing to know where Enoch is. Hint: It’s in southwestern Utah, just north of Cedar City. Ephraim, Sanpete County • Honors one of the 12 tribes of Israel. Original residents hoped to build another settlement on the other side of the San Pitch River and call it Manassa, to honor both sons of the ancient prophet Joseph (the man with the “amazing technicolor dreamcoat”). Farr West, Weber County • Named for Lorin Farr, first president of the LDS Weber Stake. Fayette, Sanpete County • Named for Fayette, N.Y., where the LDS Church was organized in 1830. Fielding, Box Elder County • A tribute to Mary Fielding Smith, mother of the Utah-based faith’s sixth president, Joseph Fielding Smith. It was named in part to honor the church president, too. Francis, Summit County • Honors former apostle Francis M. Lyman, one of two Utah towns to do so. Look at his last name to guess the other one. 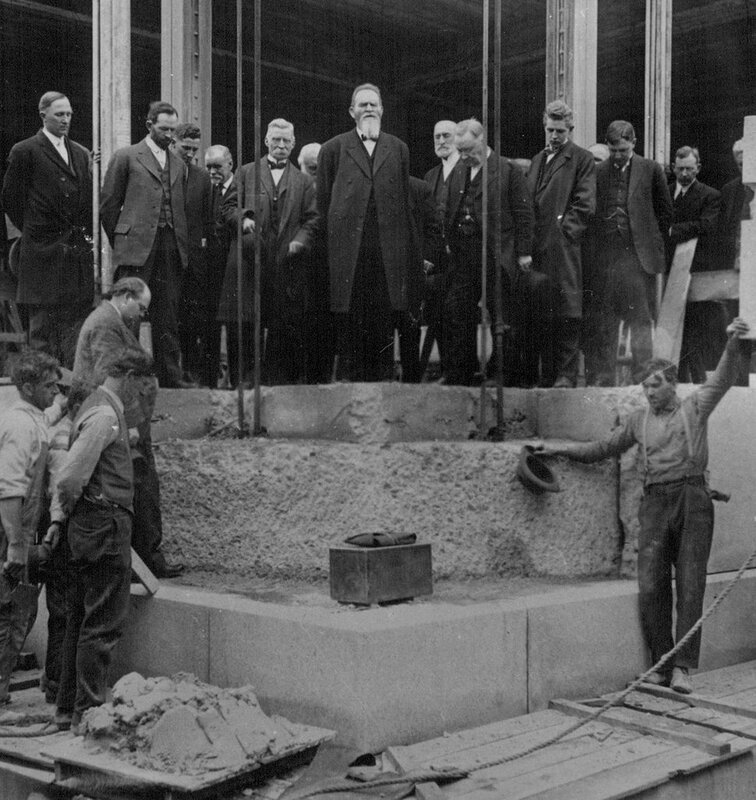 Tribune file photo Laying cornerstone of LDS Church administration building in 1914. Apostle Francis M.Lyman (center) is praying. Don Carlos Young, architect, stands where stone is to be placed. 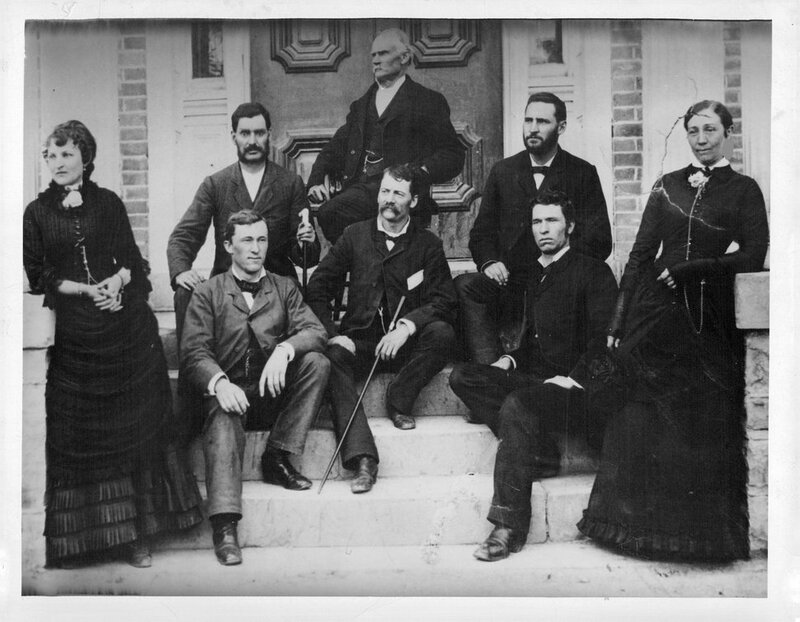 On top, left to right, are Alfred Ransom (behind pole), C.A.Carlson, David A.Smith, John Lawrence (in background), Andrew H.Jensen, Apostle Lyman, Heber J.Grant, Anthon H.Lund, Harold Jensen, A.William Lund and Fielding K.Smith. Goshen, Utah County • It is the name of a biblical land. But the area’s first Latter-day Saint bishop, Phineas Cook, named it after his birthplace: Goshen, Conn. Earlier, it was named for a wicked biblical city: Sodom, which God destroyed. Grantsville • Tooele County city named for George D. Grant, a colonel in the Nauvoo Legion, an early Mormon militia. Heber City • Honors former apostle Heber C. Kimball. He had baptized many of the city’s early residents as a missionary in England before they immigrated. Henrieville, Garfield County • Honors James Henrie, the area’s first Latter-day Saint stake president. Hinckley, Millard County • Honors Ira Hinckley, an area stake president (and grandfather of later church President Gordon B. Hinckley). Hurricane, Washington County • Technically not a Mormon name. But it came from church apostle Erastus Snow’s comments about the area’s heavy wind. Hyde Park, Cache County • Named for William Hyde, the area’s first Latter-day Saint bishop. Hyrum, Cache County • Named for Hyrum Smith, brother of church founder Joseph Smith. Early residents had planned a twin settlement nearby to be named Joseph to honor both martyred brothers, but it never materialized. Ivins, Washington County • Honors former apostle Anthony W. Ivins. Joseph, Sevier County • Honors not Joseph Smith but rather Joseph A. Young, the first president of the LDS Sevier Stake. Kaysville • Honors William Kay, the area’s first Latter-day Saint bishop. Kay actually wanted to name it Freedom. But Brigham Young asked, “When did Bishop Kay’s ward get its freedom?” Young pushed the name Kaysville instead. Layton • Named for an early bishop, Christopher Layton. For a time, it was called Laytona. Lehi • Named for a Book of Mormon prophet. It was chosen because its early pioneers had moved often, much like the scriptural prophet Lehi, who traveled from Jerusalem to the Americas. Lewiston, Cache County • Honors an early Latter-day Saint bishop, William H. Lewis, renamed after earlier being called Poverty Flat. Lyman, Wayne County • Also named for apostle Francis M. Lyman, as was the town of Francis. Maeser, Uintah County ��� Named for Karl G. Maeser, early president of Brigham Young University and head of the church’s Sunday school. He visited the area, and residents liked him so much they named the town in his honor. Manti • Honors a city mentioned in the Book of Mormon. Originally, Danish settlers there had named it Copenhagen. Moab • Some say it comes from the biblical name for “the land beyond the Jordan.” Others say it comes from a Paiute word for mosquito, moapa. 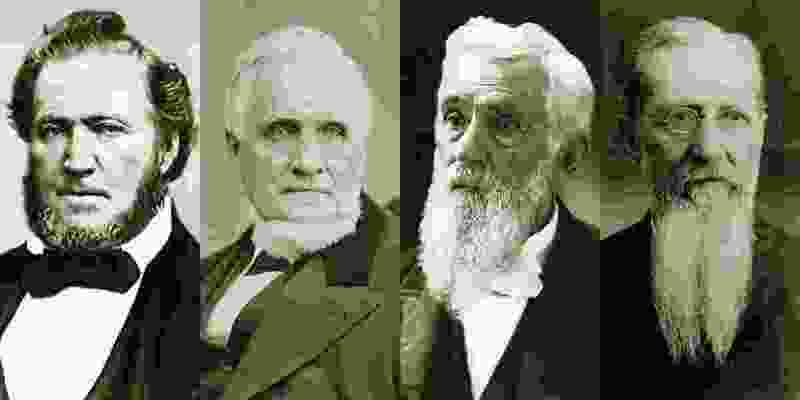 Morgan • Honors former apostle Jedediah Morgan Grant, father of former church President Heber J. Grant. Moroni, Sanpete County • Honors the last prophet in the Book of Mormon, the same man who Joseph Smith said appeared to him as an angel (and is featured in statue form atop many Latter-day Saint temples). (Rick Bowmer | Associated Press file photo) In this Sept. 11, 2014, photo, the angel Moroni statue sits atop the Salt Lake Temple. Nephi • Named for a Book of Mormon prophet. An earlier name of the settlement was Little Chicago. New Harmony, Washington County • Named for Harmony, Pa., where Joseph Smith said he translated the Book of Mormon, and to signify harmony among early settlers. Nibley, Cache County • Honors Charles W. Nibley, a former presiding bishop of the LDS Church. Ophir, Tooele County • A biblical area rich in gold, it was actually named by miners instead of Mormon settlers. (Steve Griffin | The Salt Lake Tribune) Ophir, in Tooele County, Wednesday, Nov. 22, 2017. Ophir was a town until 2016, when the town voted to disincorporate. Orderville, Kane County • Named for the United Order, a collectivist movement practiced there by Latter-day Saints. Perry, Box Elder County • Named for the town’s first Latter-day Saint bishop, Lorenzo Perry. It was originally named Porter’s Spring, after infamous gunslinger Orrin Porter Rockwell. Randolph, Rich County • Honors an early Latter-day Saint bishop, Randolph Stewart. St. George • Honors former apostle George A. Smith. It was half-jokingly suggested that if other churches could have saints, Mormons could, too. Salem • It is a biblical name for Jerusalem, and some say that is why it was chosen. Others say the settler Lyman Curtis named it for his birthplace of Salem, Mass. Smithfield, Cache County • Honors John Glover Smith, the area’s first Latter-day Saint bishop. Snowville, Box Elder County • Honors former church President Lorenzo Snow. South Jordan and West Jordan • Named for the nearby Jordan River, named in turn after the river where Jesus was baptized. (Oded Balilty | The Associated Press) In this Wednesday, Jan. 18, 2017, photo, Christian Orthodox pilgrims immerse themselves in the waters of the River Jordan during a baptism ceremony as part of the Orthodox Feast of the Epiphany at Qasr el Yahud, the spot where John the Baptist is said to have baptized Jesus, near the West Bank town of Jericho. Taylorsville • Honors former church President John Taylor, an early area resident. Wellsville, Cache County • Honors former apostle Daniel H. Wells, who was also an early mayor of Salt Lake City. Willard, Box Elder County • Honors former apostle Willard Richards. Woodruff, Rich County • Honors former church President Wilford Woodruff, who often passed through it to visit relatives nearby. Totals • Some quick math shows Utah cities and towns were named for at least five church presidents, 10 apostles, 11 stake presidents, nine bishops, two biblical figures and three Book of Mormon prophets, among other things.